When Lonely Planet called Hai Phong as the most approachable city in northern Vietnam, they referred to its tree-lined boulevards playing “host to a bundle of graceful colonial-era buildings” and a bustling café culture that attract tourists. Hai Phong, however, is becoming more than just a friendly tourist hub; today it’s a fast-growing industrial seaport in Vietnam, alongside Ho Chi Minh City. According to CBRE Vietnam, the city’s seaport capacity is currently only half of HCMC’s, but throughput increases annually, catching up with southern Vietnam. 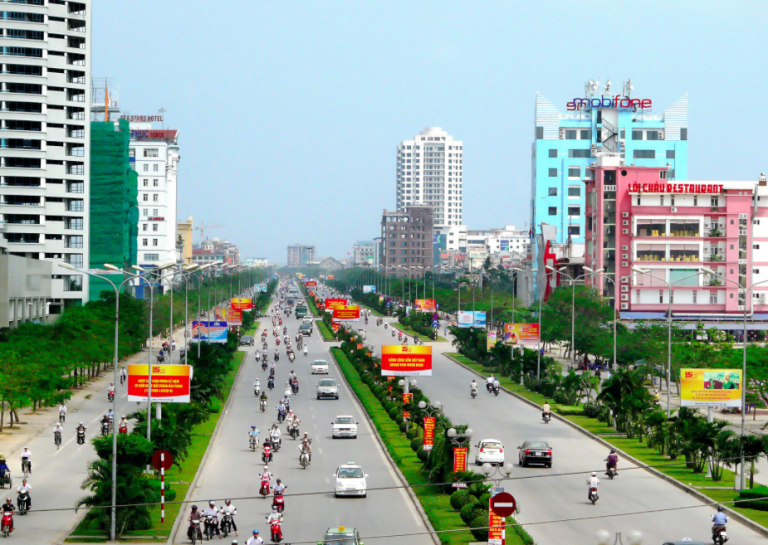 The industrial boom Local authorities in Hai Phong are actively promoting the city to domestic and foreign investors. Officials have improved the infrastructure system and network connection in the city, per CBRE, which enhanced investor confidence in general. Among the biggest investments in recent memory to entre Hai Phong are two Belgian-backed projects in the construction, processing and manufacturing sectors, reports Vietnamnet.vn. The investments are worth VND6.18 trillion (USD277.23 million). The said projects have been promoting the city’s socio-economic development, Duong Ngoc Tuan, director of the municipal Department of Planning and Investment, told Vietnam News in January. CBRE notes, however, that administrative procedures and transparency issues need to be ironed out to maintain investor interest. Given the changes in infrastructure, Hai Phong also has some construction projects piling up. Vietnam’s Ministry of Industry and Trade announced there were at least 12 ongoing projects, which include seven office buildings and five public works, that apply energy efficiency measures. The new public works projects are expected to contribute to the investment wave in the city that now has a population of about 2 million, making it the third largest urban area in the country. Per Vietnam News, these include Ha Noi-Hai Phong Expressway, Tan Vu-Lach Huyen Bridge, Hai Phong International Gateway Port and the Cat Bi International Airport.